The Willow Engagement Ring is a delicate engagement ring accented with 0.17ctw bar set natural recycled diamonds. Starting price is for setting only. This ring matches perfectly with the Willow Wedding Band; purchase the wedding set for a discount off the band. Side Stone Carat Weight: 0.17ctw. Just as good as I the pictures. We shipped the ring to Austria, but it came in just a couple of days. 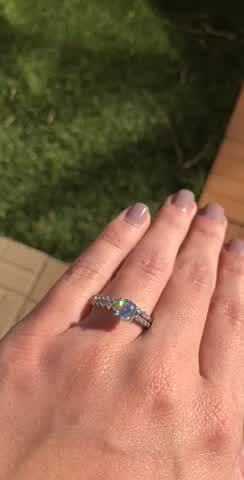 My fiancée was over the moon! I received this ring with the home try on program. Let’s just say I found my engagement ring! So beautifully designed and crafted! Chad and J. Reviewed by Chad and J. Prior to getting engaged we admired this ring and,despite shopping around, kept coming back to it. Though I was hesitant to order such a big ticket item online, the process was easy, secure, and smooth. 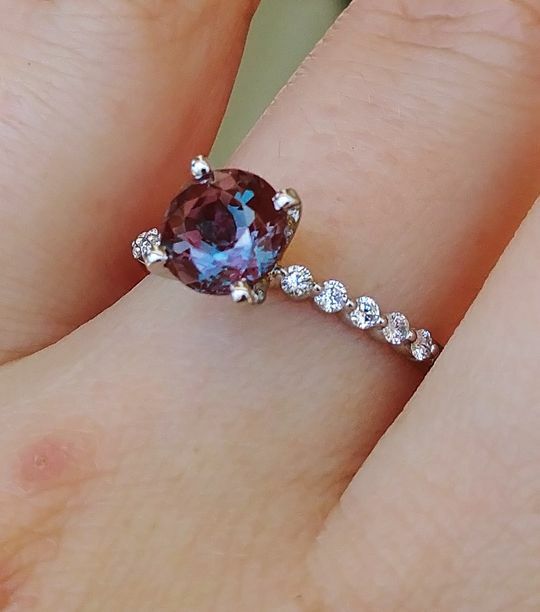 My fiancée and I were stunned at how gorgeous the ring is in person and it exceeded our expectations. She gets compliments almost daily at the diamond quality and stunning band. One of the best parts is the ethical values behind Miadonna. And the icing on the cake is having jewelers comment on the craftsmanship and flawless diamond. Thank you Miadonna! Ordered in platinum with a 1.7ct Alexandrite round cut stone. 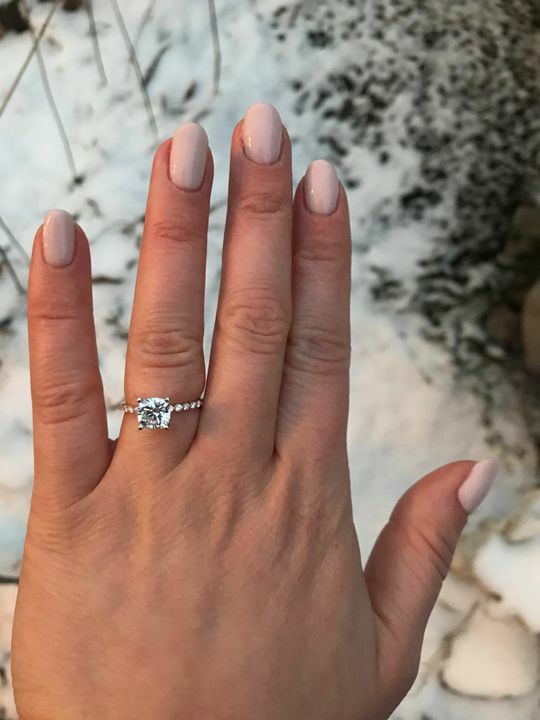 The brighter the light, the more stunning the ring looks. Craftsmanship is great too, no complaints. The band was a little thinner than I thought, but I think it's because i got a larger stone than shown in the promo pictures. Not a complaint, just an observation.